It can happen to anyone…you fall behind paying your bills because of a job loss, a family crisis, or a medical emergency. Dealing with debts and debt collectors can be an overwhelming and frustrating experience. Recognize the warning signs: There are many legitimate debt collectors who abide by the law when collecting debts. There are also scam artists who pose as legitimate debt collectors in order to steal your money. Look for the warning signs listed below to protect yourself from debt collectors who are not in compliance with the law as well as thieves who have no legal right to your money. Harassment: Debt collectors may not use threats of violence, use obscene language, publish a list of debtors (but they can report to credit agencies), or repeatedly use the phone to annoy someone. Using False Statements: Debt collectors may not lie when they are trying to collect a debt. Be wary of collectors who falsely claim they are attorneys or government representatives, who claim that you have committed a crime, or who misrepresent the amount of your debt. Debt collectors may not call you without telling you who they are. 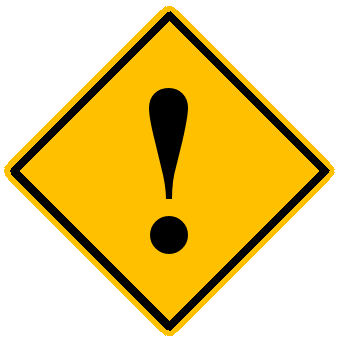 Improperly Threatening Legal Action: Debt collectors may not tell you they intend to file a lawsuit against you if they do not have that intention. Debt collectors also may not threaten to seize your wages or property unless they have sufficient legal authority to do so. Using Deceptive Documents: Debt collectors may not send you documents that appear to be coming from a court or government agency, use a fake company name, or give false credit information about you to anyone. Using Unfair Practices: Debt collectors may not try to collect interest, fees, or other charges in addition to the amount of the debt you owe unless the contract that created the debt, or state law, allows the charge. Further, debt collectors may not deposit a post-dated check early or contact you by postcard. The FDCPA generally governs how debt collectors may legally attempt to collect debts both nationally and in Nebraska. The FDCPA applies to individuals or businesses that regularly collect debts and companies that buy debts and try to collect on those debts. It is important to note that the FDCPA only applies to the collection of personal, family, and household debts; it does not apply to debts incurred in the operation of a business. Examples of debts that fall within the FDCPA include personal credit card debts, car loans, medical bills, and home mortgages. In Nebraska, debt collectors are required to register with the Secretary of State before doing business as a collection agency. See Neb. Rev. Stat. § 45-601 et seq. The law permits a debt collector to contact you in a number of different ways and throughout the day. A debt collector may contact you by telephone, letter, email, or text message to collect a debt, as long as he or she follows the rules and discloses that he or she is a debt collector. A debt collector may not contact you at inconvenient times or places, such as before 8 a.m. or after 9 p.m., unless you agree to contacts during those times. Debt collectors may not contact you at work if they’re told, either orally or in writing, that you do not want to receive calls there. Additionally, after a debt collector first contacts you, he or she must send you a written “validation notice” within five days. The validation notice must inform you of the amount of the debt, the name of the creditor to whom the money is owed, and what you can do if you do not believe you owe the money. It is always a good idea to keep a file of all communication you have with a debt collector. Save all letters or documents you receive from a debt collector or which you send to a debt collector. Also, keep a written log of dates and times of conversations with the debt collector and the topics of those conversations. If you decide you do not want a debt collector to contact you again, tell the collector in writing to cease contacting you. The best practice is to write a letter to the collector, copy that letter for your personal file, and send the letter by certified mail, requesting a return receipt. Once the debt collector receives your “no contact” letter, the only times the collector may contact you is if the contact is to inform you there will be no further contact or to let you know that the collector or creditor intends to take specific action, such as filing a lawsuit. Sending a “no contact” letter to a debt collector does not get rid of the debt, but should stop the unwanted contact. Be aware that the creditor or debt collector may still sue you to collect on the debt. If you believe that a debt collector is trying to collect payment on a debt that you do not feel you owe, you should send a letter disputing the debt and/or requesting verification of the debt. The letter must be sent within 30 days after you receive the validation notice from the debt collector. The debt collector must stop contacting you after he or she receives the letter, but may begin contacting you again if it sends written verification of the debt. Written verification of the debt might include a copy of a bill for the amount you owe. The above list is not intended to be exhaustive. 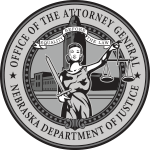 If you believe you have been contacted by a debt collector that may be violating the law, or by a scam artist, consider filing a complaint with or contacting the Nebraska Attorney General’s Office Consumer Protection Division, the Consumer Financial Protection Bureau, or the Federal Trade Commission.